Whether you’re a social smoker or a lifetime pack-a-day smoker, quitting can be tough. But with the determination and the right game plan tailored to your needs, you can replace your smoking habits, manage your cravings, and join the millions of people who have kicked the habit for good. One secret weapon which many quitters are starting to use to give them an advantage over all the other times they tried quitting before and failed, is Acupuncture. Dr. Huafei Li, an acupuncture doctor part of out team at The Emirates European Medical Centre, “I’ve treated many patients who come to me because they would like to quit smoking but feel they can’t do it on their own and need extra help. Acupuncture helps by reducing the craving when patients are trying to quit. 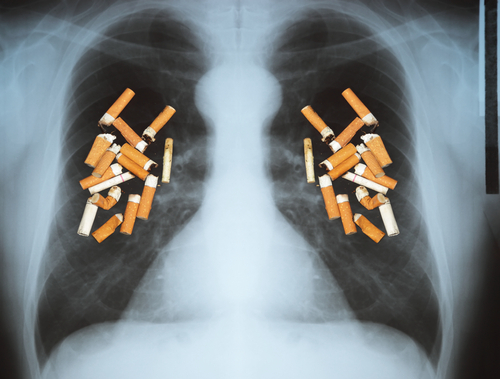 I take specific acupoints to disrupt the addiction and help cleanse the patients lungs. Most patients find that if they are tempted to have a cigarette after their first treatment there is a dramatic difference in the taste and smell of their cigarette which would ultimately make it a less desirable act. Acupuncture also helps cleanse nicotine and other chemicals that smokers build up in their body’s over the years. I also advise the patients on the kind of food and drinks they should be eating to reduce the cravings”. Acupuncture for smoking addiction is most effective after a 5-10 treatments during the first two weeks of quitting, with patients having a higher success rate. How well a patient does to quit also depends on will power and self control (like with most things such as weight-loss or a new workout plan). Every year many smokers try quitting but fail. There are many reasons for this, smoking is said to one of the hardest addictions to quit, but it doesn’t have to be that way. Most of us know that there’s no single benefit from smoking and the effects , such as cancer, heart disease, increased infections and premature aging, not to mention how harmful it is to the people around you (friends, family and kids). You have plenty to lose by smoking and everything to gain by quitting. Apart from the obvious benefits of quitting. Here’s what happens when you ash your last cigarette. 20 minutes after quitting your blood pressure decreases. Your oxygen levels start to normalize after 8 hours. Within 2 days your nerve endings start to regenerate and you can smell and taste better. Within a couple of months you’ll notice that you’re coughing, sneezing, fatigue and shortness of breath has decreased. And here’s one we love, withing one year, your chance of suffering from a heart condition declines with 50% compared to that of a smoker, and finally within 5 years your stroke risk may have reduced to that of a non-smoker. Dr. Huafei Li, treats patients for all kinds of problems such as smoking addictions, chronic pain, infertility problems (support for IVF), PCOS (Polycystic Ovary Syndrome), Uterine fibroids, Menopause and more at Emirates European Medical Centre.